When the term progressive metal pops up, the first band that often comes to mind is Dream Theater. The longstanding metal band has influenced the genre so greatly throughout the years that they, in fact, define what is is to be progressive metal behemoths. Now on their 14th studio album, “Distance Over Time,” Dream Theater is showing no signs of growing weary. From the haunting guitar intro in the album’s first song, “Untethered Angel” to the chugging riffs of “Paralyzed” to relentless guitars in “Room 137,” the album keeps the listener at a fever pitch from start to finish. “Untethered Angel” is a stand out, and it’s no wonder Dream Theater picked the track to kick off the album. The album starts with an eerie, magical guitar solo that pulls the listener in before letting out an explosive drum and guitar attack, making way for James LaBrie’s melodic vocals. The album’s first single,” Paralyzer, is another gem. With heavy, radio-friendly guitars, catchy rhythms and LaBrie’s angsty vocals, this should fit well alongside bands such as Disturbed and Three Days Grace on active rock radio. Clocking in at more than nine minutes, “At Wit’s End” truly shows Dream Theater’s progressive metal roots. What’s extra special about “At Wit’s End” is the guitar work during the intro, with begins lightning-fast and evolves into a head-bopping mix of riffs. 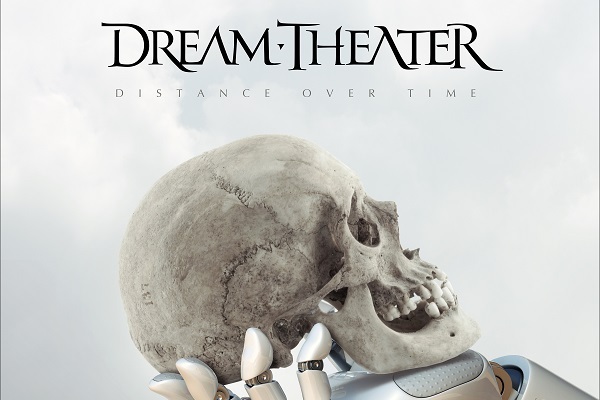 Throughout “Distance Over Time,” it’s clear Dream Theater posses the highest caliber of musicianship and songwriting abilities. “Distance Over Time” is an exciting collection of progressive metal that takes the listener on the best kind of musical journey. Whether you’re a longtime Dream Theater fan or being introduced to the band right now, the album should appeal to a wide range of heavy music fans and quickly become a favorite. Ink rating: 9.5/10.